TM 9-2350-261-20-1 switch. 2. 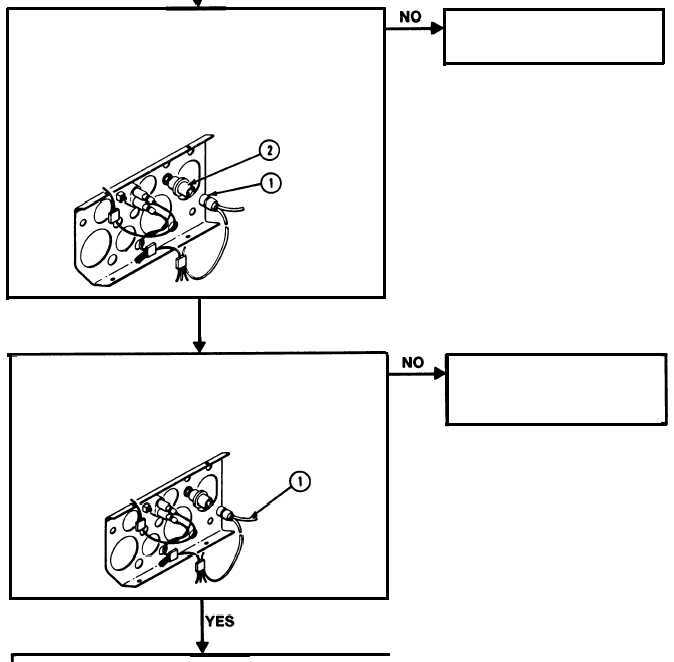 Remove instrument panel for access (page 11-2). 3. Remove circuits 14/74 plug (1) from start 4. Measure resistance between start switch (2) jack pins with start switch depressed. 5. 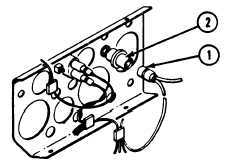 Does multimeter read 0 ohms? YES 1. Turn MASTER SWITCH to ON. 2. Measure voltage from panel power harness circuit 14 plug pin (1) and ground. 3. Does multimeter read more than 17 volts? 4. Turn MASTER SWITCH to OFF. 1. Replace start switch (page 11-10). 2. Verify no faults found. 1. Repair panel wiring harness circuit 14 (page 14-3). 2. Verify no faults found. 1. Repair front main wiring harness circuit 74 (page 14-3). 2. Verify no faults found. I 3-23 1. Install circuit 14 and 74A plugs on neutral start switch (2).